The Masters Tournament is a prestigious invitational competition held in April at a private club in Augusta, Georgia, where the golfer with the lowest four-round score walks away with a lot of green and a bright green jacket. But you knew that. Here are 18 other facts about the event you might not know. 1. 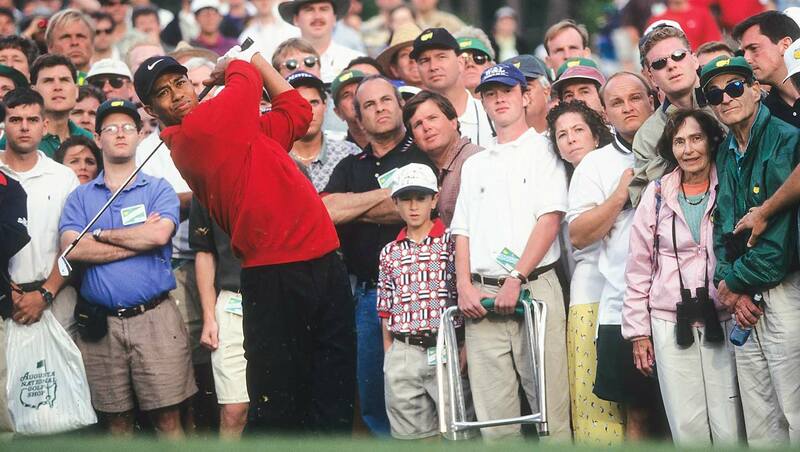 In 1997, the year of his first Masters win, Tiger Woods played the back nine in a cumulative 16 under par. That was one of 20 Masters records he set that year. 2. There have been 28 holes-in-one recorded in Masters history. 3. The record for most birdies in a single round is held by Anthony Kim, who notched 11 on Friday in 2009. He also made two bogeys and a double for a seven-under 65. 4. In 25 career Masters appearances, Phil Mickelson has won a total of $7,842,162. 5. Jack Nicklaus, who holds the record for most Masters wins (6) is also tied for the record for most runner-up showings. Like Tom Weiskopf and Ben Hogan, he has four second-places finishes in the event. 6. The first-ever Masters, in 1934, was held March 22-25. It was then called the Augusta National Invitation Tournament. 7. Augusta National co-founders Bobby Jones and Clifford Roberts acquired the original 365-acre property for $70,000. In 2017, $71,500 was the payout for 31st place in the event. 8. It's been 30 years since someone has aced the par-3 12 hole. That someone was Curtis Strange, with a 7-iron, in 1988. 9. 63 is the single-round tournament scoring record, shared by Greg Norman and Nick Price. That's two more than the number of magnolia trees lining Magnolia Lane. 10. As originally designed, Augusta National measured 6,800 yards. This year it will tip out at 7,435 yards. 11. At the inaugural Masters, in 1934, the first hole was the 10th hole, and the other way around. The two nines were flipped to their current order the following year. 12. The first Masters playoff, in 1935, was a single-day, 36-hole competition. Gene Sarazen beat Craig Wood, 144 to 149. 13. Tom Weiskopf shares the record for worst single-hole score in the Masters, thanks to the 13 he took on the 12th hole in 1980. In the course of that disaster, he dumped five balls in Rae's Creek. 14. The other 13 was carded by Tommy Nakajima on the 13th in 1978, a misadventure that included two balls in the water, and two additional penalty strokes: one when Nakajima's ball landed on his shoe when he tried to play it from Rae's Creek, and another when his club hit the water as he handed it back to his caddie. 15. The highest score ever shot in a single round was Billy Casper's 106 in 2005, though it never went down in the official ledger. 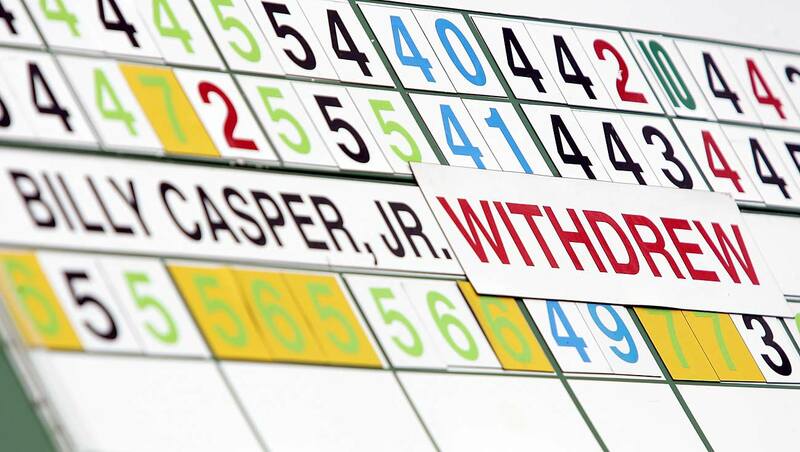 Casper, who teed it up that day to give his family members one last chance to see him play Augusta, withdrew without turning in his card. 16. In the history of the event, each of the par-fives has been double-eagled exactly once. 17. At the inaugural Masters in 1934, the total purse was $5,000, with $1,500 going to the winner. This year's total purse will be $11 million, with $1.98 set aside for the champion. 18. Jordan Spieth holds the record for most birdies in a single tournament (28). Jack Nicklaus holds the record for most career birdies at the Masters, with 506. 19. Only six players have birdied the 72nd hole to win the Masters: Art Wall, Arnold Palmer, Gary Player, Sandy Lyle, Mark O'Meara and Phil Mickelson.